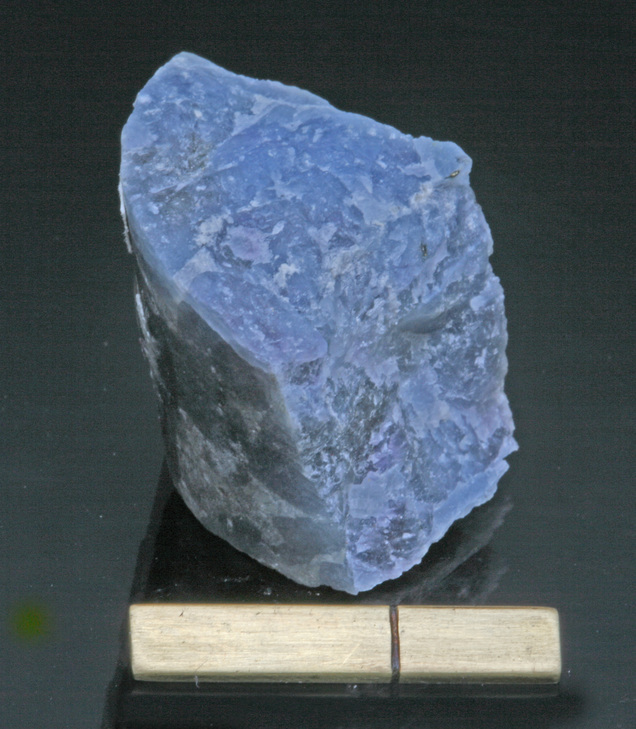 Rustumite: Mineral information, data and localities. Named in honor Rustum Roy (July 3, 1924, Ranchi, Bihar, India – August 26, 2010, State College, Pennsylvania, USA), professor at Pennsylvania State University and a specialist in the crystal chemistry of minerals and synthetic materials. He was a co-founder of the Materials Research Society, and elected to five National Academies of Engineering/Science. 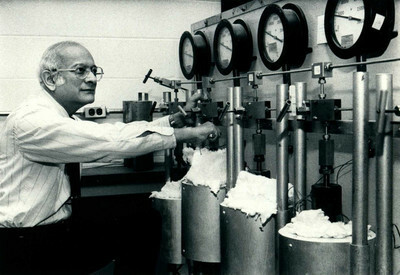 He developed the sol-gel process and identified the phases of barium titanate, an important material used to make capacitors in the electronics industry. Dellaite is named after his wife, Della Roy. National Museum of Natural History, Washington, D.C., USA, 119428, 119429. Agrell, S.O. (1965) Polythermal metamorphism of limestones at Kilchoan, Ardnamurchan. Mineralogical Magazine: 34: 1-15. Spurrite 5 photos of Rustumite associated with Spurrite on mindat.org. Dellaite 4 photos of Rustumite associated with Dellaite on mindat.org. Howie, R.A., Ilyukhin, V.V. (1977) Crystal structure of rustumite. Nature: 269: 231-231. Nevskii, N.N., Ilyukhin, V.V., Khaui, R.A., Belov, N.V. (1979) The crystal structure of rustumite. Soviet Physics - Doklady: 24: 812-814. Gfeller, F., Armbruster, T., Galuskin, E.V., Galuskina, I.O., Lazic, B., Savelyeva, V.B., Zadov, A.E., Dzierżanowski, P., Gazeev, V.M. (2013) Crystal chemistry and hydrogen bonding of rustumite Ca10(Si2O7)2(SiO4)(OH)2Cl2 with variable OH, Cl, F. American Mineralogist: 98: 493-500. Min Mag (1965) 34:1-15; Mineralogical Magazine 1965 34 : 1-15.